Usher fragrance and perfume list. Usher Raymond IV (born 14 October 1978 in Chattanooga, Tennessee) is an American singer songwriter and dancer, who rose to fame in the late 1990s. His hit singles include Nice & Slow, Yeah!, and OMG. Usher was a member of NuBeginnings group. 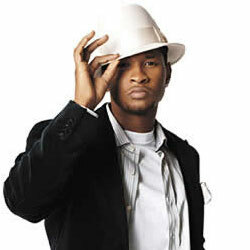 He released his first fragrance Usher He in 2007 with Elizabeth Arden.